You might have already heard of these innovative platforms called Pathao and Tootle in Nepal. Well now after the recent case of traffic police arresting bike riders working for Pathao and Tootle, everyone has come to know about them. Traffic police have caught them claiming to be illegal for the private vehicle to provide such service. Let’s find out more about the recent Pathao and Tootle case in details which brought a huge discussion among people for either the support of these platforms OR the Government rules. 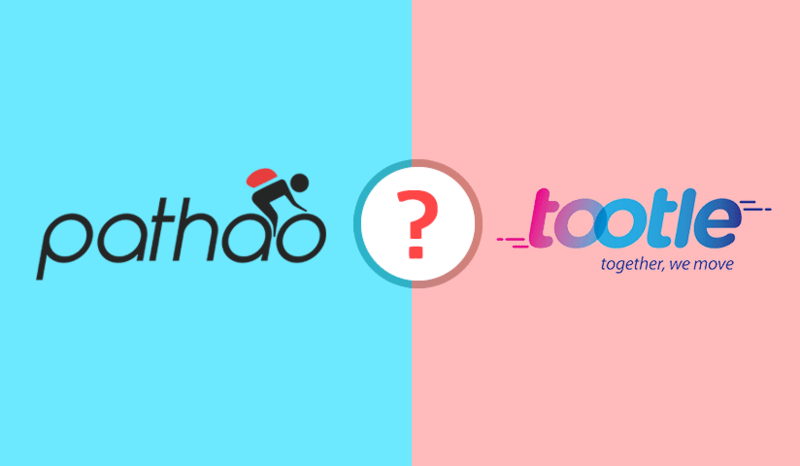 Pathao and Tootle are mobile app-based platforms for bike ride sharing. 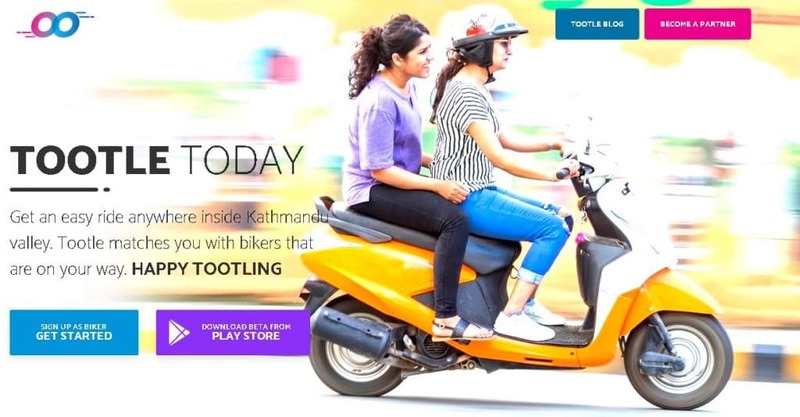 They have been operating from some time; Tootle started it 2 years ago while Pathao, the Bangladeshi app reached Kathmandu around 3 months back. They connect bike riders who can provide a ride with those who need rides. Pathao and Tootle are mobile apps that use a GPS system to connect the customer and bike riders based on their location and also help them to find the best route to reach the destination. Simply these are the paid lift service where you pay some money to riders for giving the lift or ride. The easy and user-friendliness of this app make them famous in a very short amount of time. People can see a huge amount of price difference between Taxi Rides and These Rides which makes them famous in the very short interval of time. Another big advantage of Rides is that you can save tons of time. The reliable service has also become another reason to make them famous. People having a driving license and a bike can use this app to be the Riders. Whereas for the customers you just need a smartphone with the app and a data connection. Some of the riders also earn around NRs 30,000 per month which attract the riders towards the platform. From customer aspect using the app, you can reach your destination by saving lots of time, money, and efforts. So the platform has created employment opportunity along with their affordable service to the people in Kathmandu. Due to the popularity, Tootle has already expanded as we found them to operate in Pokhara city also. On Saturday (Jan 12, 2019), Traffic police arrested few Tootle and Pathao Riders in Durbarmarg, Kathmandu, claiming them to have run illegally. Some riders use a holder to mount mobile phone for GPS navigation and some even wear their dress. So the cops could identify them and arrested them in the center of Kathmandu because of the legality. Government rules and policy do not allow the vehicle with a red number plate to do any kinds of service delivery. The red number plate is meant for a private vehicle which means it should be used as private not for any types of public transportation. The Motor Vehicles and Transport Management Act, 2049 (1993) says that: No Private vehicle can be used as the transport service. As per this, these platforms are illegal but there must be a way to make them legal. Take an example of esewa, they had lots of user before having the license and so do Pathao and Tootle have. Having lots of customers, they should rise against the complaint that made cops to arrest Riders in their platform. On one hand, Government could not even fulfill the demand of people for good public transport service. We always need to wrangle with taxi drivers to use taxi meter readings. Another hand, Government is supporting to discourage these platforms which are filling the gap of good public transport service. You should not discourage innovation and good service in the name of the existing rules. Such action will have a big impact in the long run for a country. No country can progress without innovation and we also need people who think out of the box. As known, Taxi rider Association of Nepal started all these things to shut these platforms down OR at least discourage the riders from using their platform. The association apparently made a complaint against these platforms for Ride-sharing service. There must be a solution to every problem. In this situation, the solution is possible by amending the law and providing a way to accommodate this kind of innovative services. The government can also collect some tax from these platforms and facilitate people’s convenience for the transport. It doesn’t seem fair that no law can be amended even if it demoralizes any new ideas and innovation. So, to encourage such startup and innovative ideas, the government should take the lead in changing/amending existing laws for the smooth operation of these ridesharing platforms. Please watch this video as well. Government employees now need to use official email.